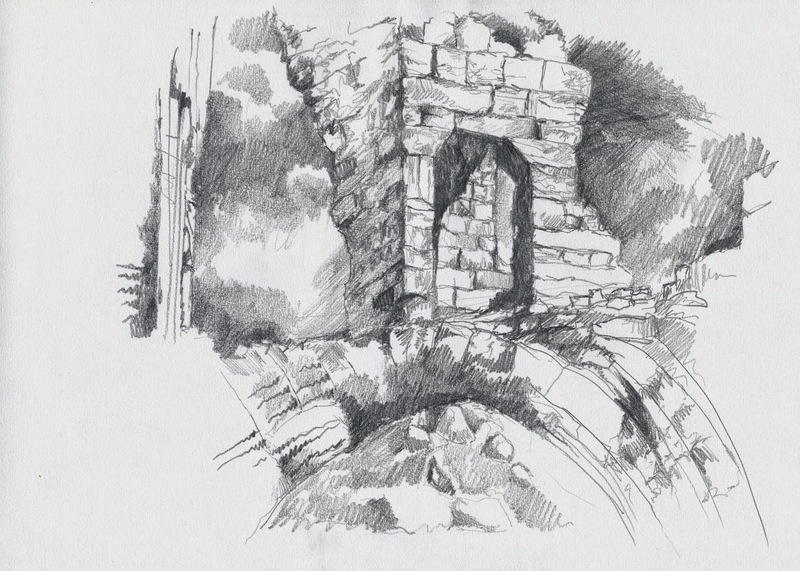 This pencil study was produced to accompany The ruins of Osgiliath (the monochrome version of which is included below) and was based on an even quicker sketch with accompanying photographs taken at Dunstanburgh Castle in Northumberland. 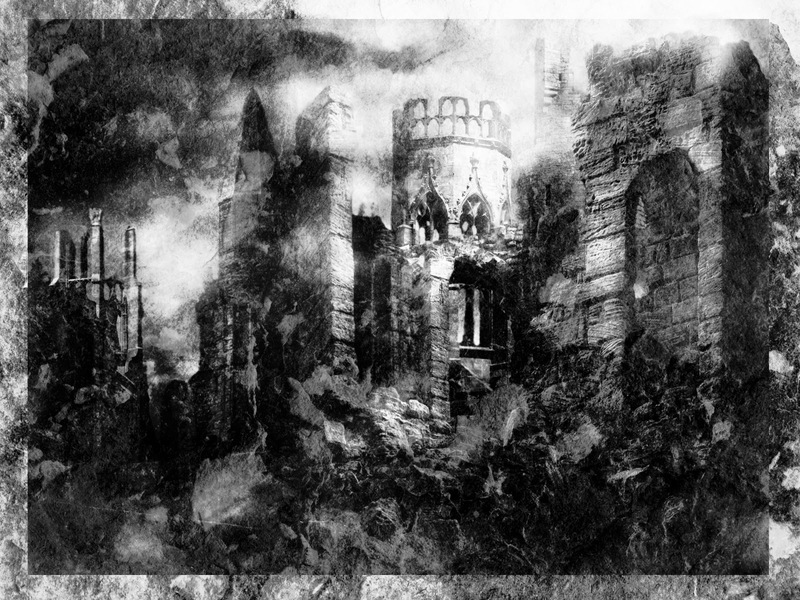 The site was extremely reminiscent of Osgiliath and from this small focus on the tower of the sketch sprung the idea for the remaining elements of the composition. 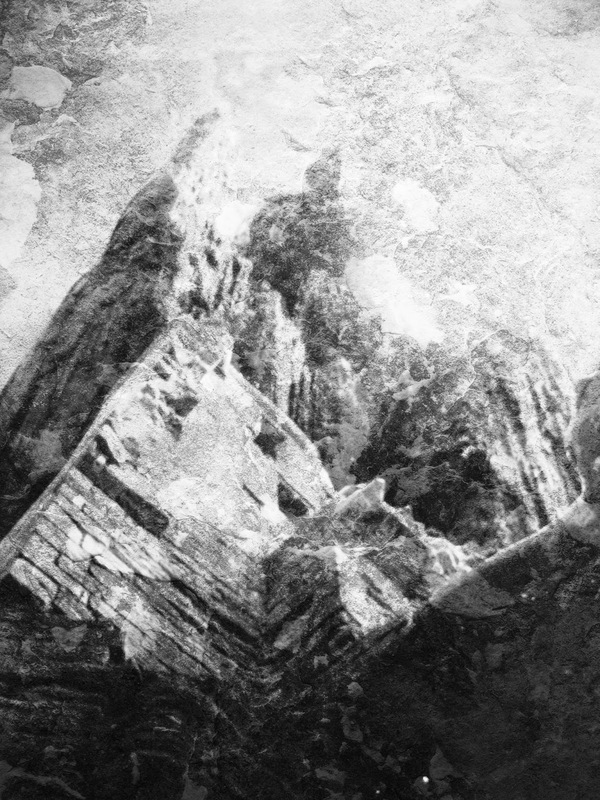 Many additional photographic expeditions were required before all the sources for the remaining elements were found - but this is truly the most exciting aspect of working in this way.